1. 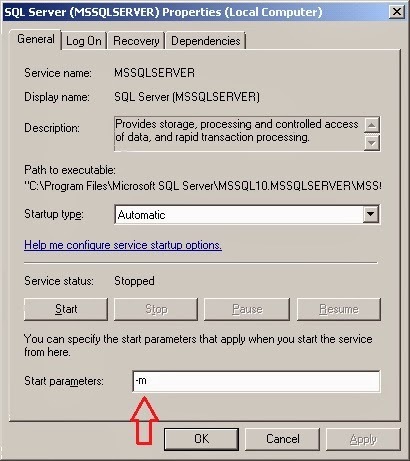 Stop SQL Server service if it is running. 2. Set the start up parameter to “-m”. Do this in the General tab of the service. Remember any pre-existing start-up parameters so you can restore to the original configuration later.